The rupee depreciated 81 paise to 72.65 against the dollar in early trade Monday at the forex market, despite the government's steps to stem a steep fall in the currency, amid reports that the US could announce a new round of tariffs on Chinese imports later in the day. 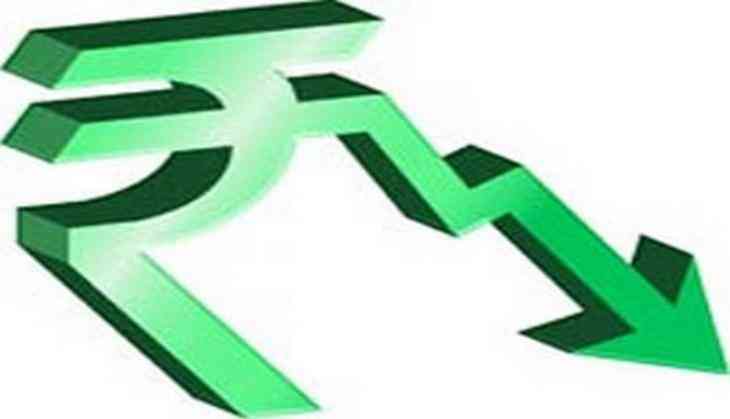 On Friday, the rupee had gained 34 paise to close at a one-week high of 71.84 against the US dollar on positive macro data and hopes of policy intervention by the government to defend the volatile currency. Meanwhile, the benchmark BSE Sensex tumbled by 295.40 points or 0.78 per cent to trade below the 38,000 mark at 37,795.24 in early trade.